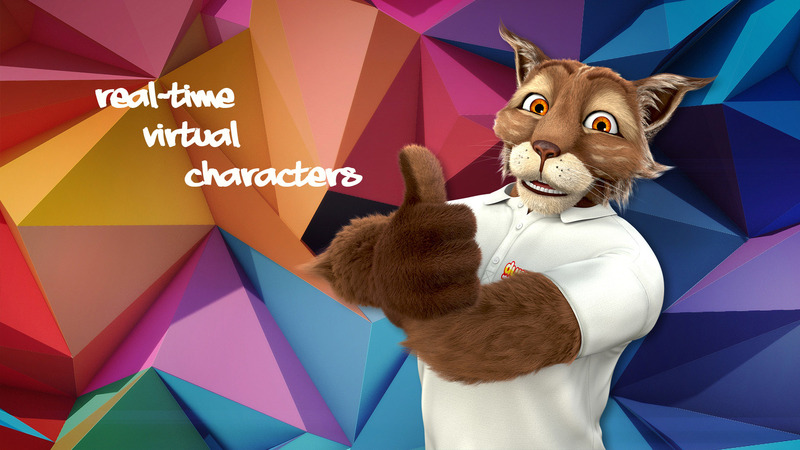 Virthu – Virthu – virtual 3d characters animated in real time. Every Virthu is controlled by a real human. 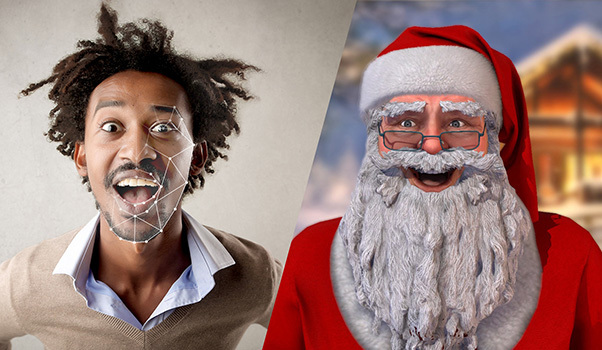 Its facial expressions and body movements are tracked in real-time with very high precision and translated by computers to a virtual 3D character model. The model is rendered using state-of-the-art rendering technology to achieve a realistic and believable look. With our service you can easily create video content for your social media channels. Use your Brand Hero as your company’s spokesman and let your clients meet him live. A catalogue of 50+ plug-and-play Virthu characters is ready for your events. They can be digital hosts on the stage or join your event as an individual attraction. Creating 3D video animations is now as simple as traditional filmmaking. With Virthu you can easily produce films and series with your proprietary IP (e.g. Brand Hero), faster than ever before. We create 15 minutes long interactive show dedicated for amusement parks. Unique and amazing attraction with huge potential. Fully adaptive for every theme. Authistic kidas are deeply engaged in therapy driven by cartoon characters. We started R&D program with Promitis, biggest polish foundation specialised in authism therapy. We are ready to deliver virtual customer service at your VR/AR stores and branches, with a globally unified custom-made character, live animated by your staff. First fully responsive company mascot with a heart. 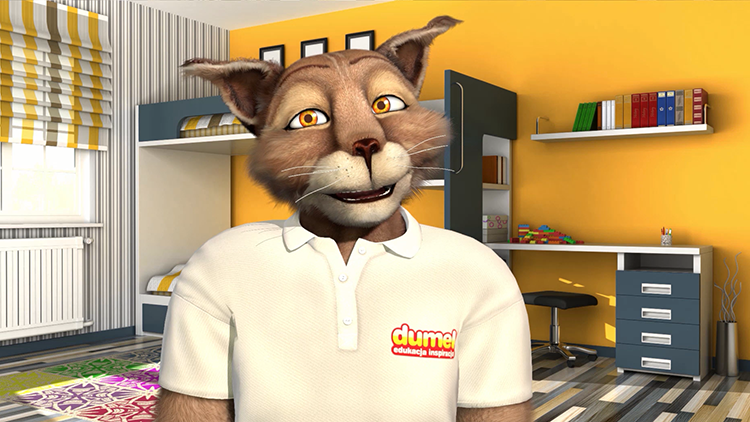 Dumoryś is a lynx. He's a husband and father of two. He is a great dad and a toy maniac what makes him the perfect ambasador of the toy company. 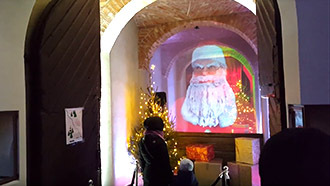 The biggest holographic Santa Claus was present on the Warsaw city Christmas Eve. The queue to talk to him was incredibly long. 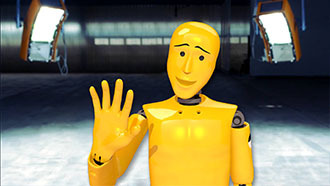 Dummy is a car crashing expert. However Continental's technology is so safe that he's loosing his job. He can talk hours about safety and cars so he became a vloger. We'll notify you about our new projects and interesting technologies.